Moving to Hayward is something a number of people do each year for a variety of reasons. We did some research and wrote this article to help you make your decision if you are interested in such a move. The population is about 144,000 and it is a diverse city. Most of the residents are Hispanic, the second largest group is White, with the third Asian, and the fourth African-American. Of the Hispanic population, most are of Mexican descent, but there are also people of Salvadoran, Puerto Rican, Nicaraguan, Honduran, Peruvian and Cuban lineages. If you have a preference for diversity, moving to Hayward might be a good choice. This list is only a brief sample, there are many more employers in Hayward, but hopefully, this provides you with a snapshot. In Hayward, the median home value is $582,000 and the average rent is $2226. You might find a small 1-bedroom condo for less than $400,000, but they are not available in great numbers. For renters, there are some small studio or 1-bedroom apartments for $1,400 to $1,900, and there are shared living situations for less than $1,000. Moving to Hayward might be appealing if you are currently in San Francisco and want more affordable housing. The Hayward public schools are rated slightly below average by Great Schools. For adults, there is Chabot College for 2-year degrees and Cal State East Bay for degrees beyond that level. Both are affordable for California residents. 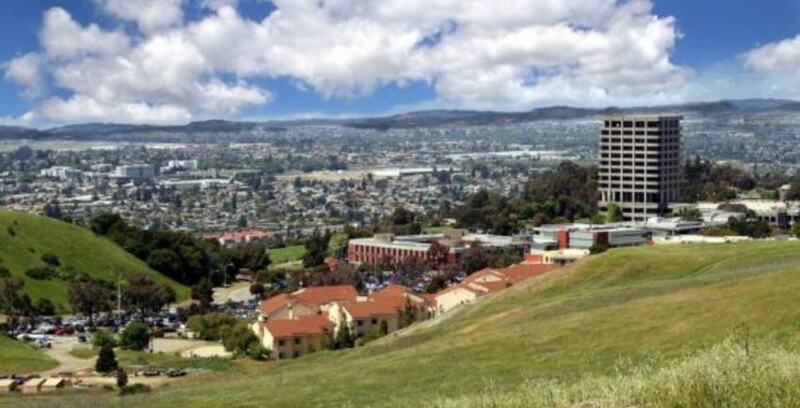 Within the East Bay, there are a number of other community colleges and institutions granting bachelor’s, master’s, and doctorates. Old Creek Dog Park of Cherryland. Coyote Hills is also not far away if you like open space near water. Moving to Hayward will be a good choice if you want some access to green spaces mixed with urban development. Augustin Bernal Park is within easy driving distance, as are Mission Peak Regional Preserve and Sunol Regional Wilderness. To the south, there is Joseph D. Grant County Park, and down by Morgan Hill there is Henry Coe, which is the largest park below San Jose. If you like the Pacific Coast, Half Moon Bay is only about 28 miles from Hayward, and you can easily drive south from there to Santa Cruz and Monterey. Hayward is also less than 3 hours from Yosemite if you like that kind of outdoors experience. Yes, we have a storage facility in Hayward, and we can answer any storage questions. Hayward has its own BART station, which serves the East Bay and you can easily catch a train to San Francisco. Moving to Hayward means you can still ride public transportation for work and not have to drive in very dense traffic. Adding to his benefit is the fact that Amtrak also has a station there, so if you needed to go on a longer train ride, you would be able to without a hassle. There is a Greyhound station locally too if you need to take a long trip by bus. Hayward doesn’t have a major airport, but Oakland International is only 9.4 miles so you could ride BART there or drive and park. You can also ride BART to SFO, if you need to fly from there. Of course, like all cities, there is a bus system running every day and it connects to other transportation options like BART. If you are driving, Interstate 880 is close by and so is Highway 238. If you want to go east, there is Interstate 580. Century Theatres at Hayward is a cineplex which shows many mainstream Hollywood movies. For plays, there is a community theater called the Douglas Morrison Theatre. Concerts and some classes are also held there. Hayward doesn’t have an abundance of live music venues, but there are a couple of places like The Bistro and The World Famous Turf Club. So, after reading this article are you still interested in moving to Hayward?